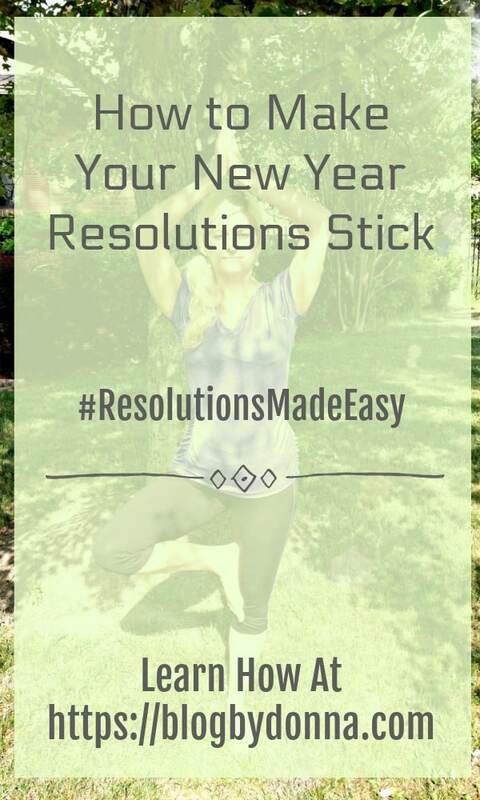 This post about ways to make your new year resolutions stick is sponsored. All opinions are 100% my own and may differ from yours. I will only endorse companies, products and services that I believe, based on my own experiences, are worthy of endorsement. Do you make a New Year resolution every December? 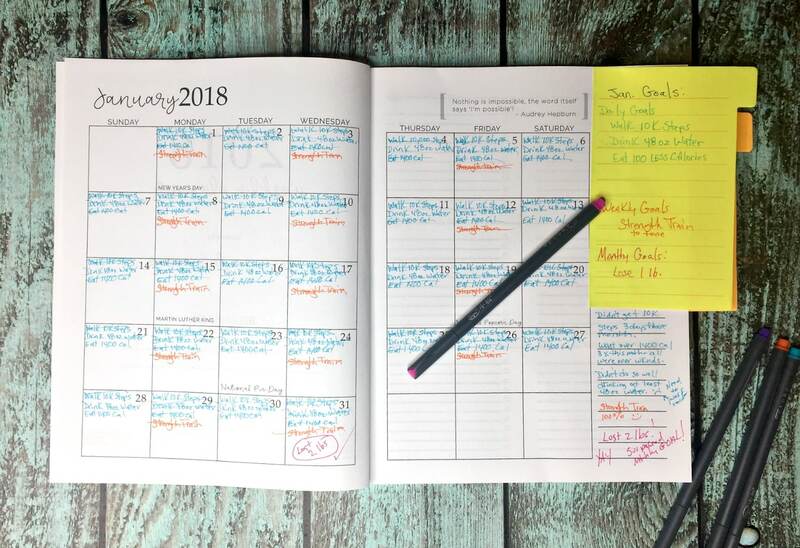 Do you start out all gung-ho in January to achieve these goals to only find yourself by March (if you’ve made it that far) letting your New Year resolutions fall by the wayside? I found myself doing this year after year. Then I started calling it “goals.” Every January I made a list of goals I wanted to achieve for the new year. Always at the top of my list was get in shape, lose weight, be healthier. I’m a busy work at home mom. If you work at home, you actually work a lot more hours than you did when you worked out of the house. Then add in all the family, home, school things, it’s difficult to fit everything in. So this year I wanted my new year resolutions to stick. However, for them to stick, I know they have to be easy for me to do. My fitness goals for 2018 are to lose 15 pounds, get toned, and be more active so I can be the best ME I can be for my husband and son. Thanks to Walmart, achieving my goals will be easy. 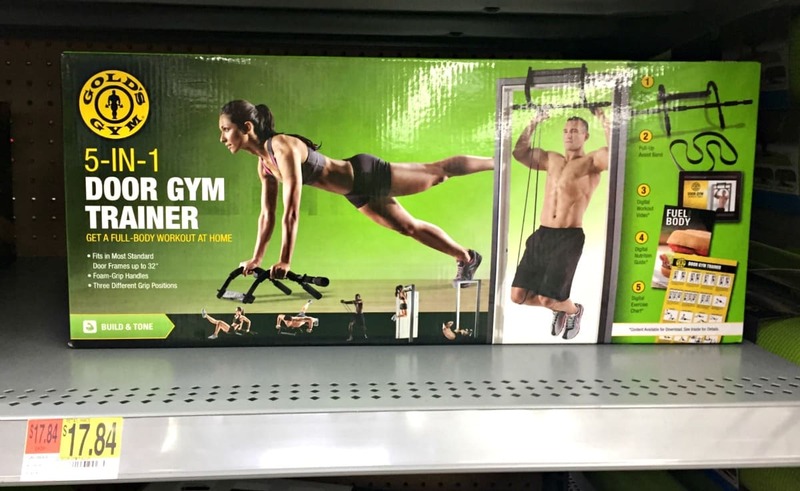 Whether you call it resolutions or goals, Walmart has what you need to achieve them. I’m sure you’ve heard it before, but it is true if you want to reach your goals, you need to make them small enough to attain them. Otherwise, you will get discouraged. This will be a surefire way to set yourself up for failure. I like to set daily, weekly, and monthly goals. With my daily goals helping me to reach my weekly goals, and my weekly goals working up to my monthly goals. 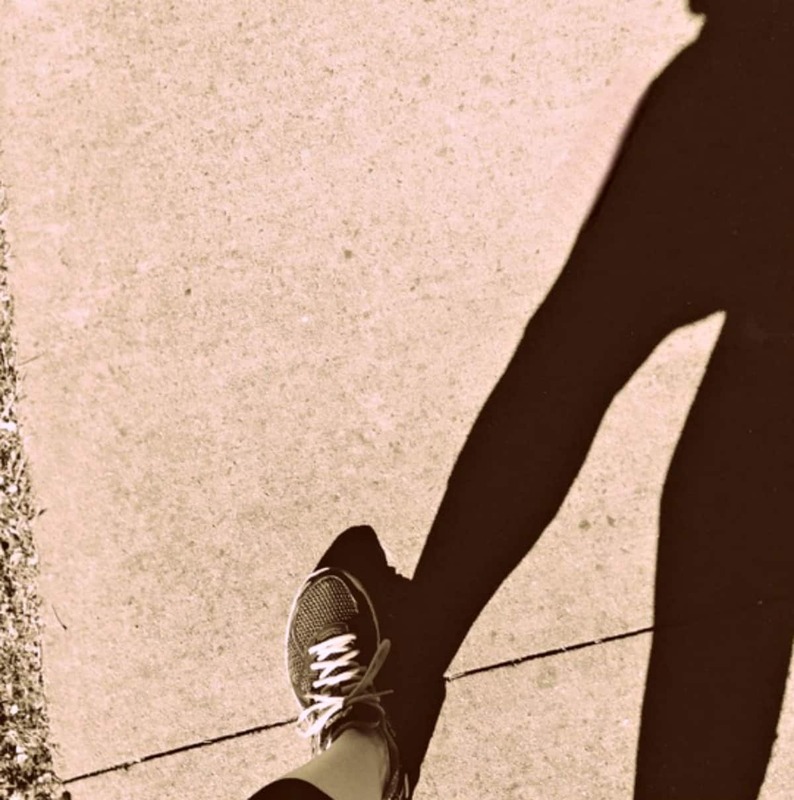 For example, as you see above, I set a goal to walk at least 10,000 steps a day. This should give me around 2,800 calories burned in a week (this number depends on your current weight and the speed you’re walking, etc.). I also set a goal to eat 100 fewer calories each day, giving me a total of a 700 calorie deficit for the week. So my weekly goal of losing 1 pound should be achievable since 2,800 + 700= 3,500, the number of calorie deficit you need to lose one pound. Each month throughout the year I’ll increase my exercise and my calorie deficit until I reach my goal. Since one of my new year resolutions is to get my body toned, I know I need the right fitness equipment. I also don’t want to break the bank. 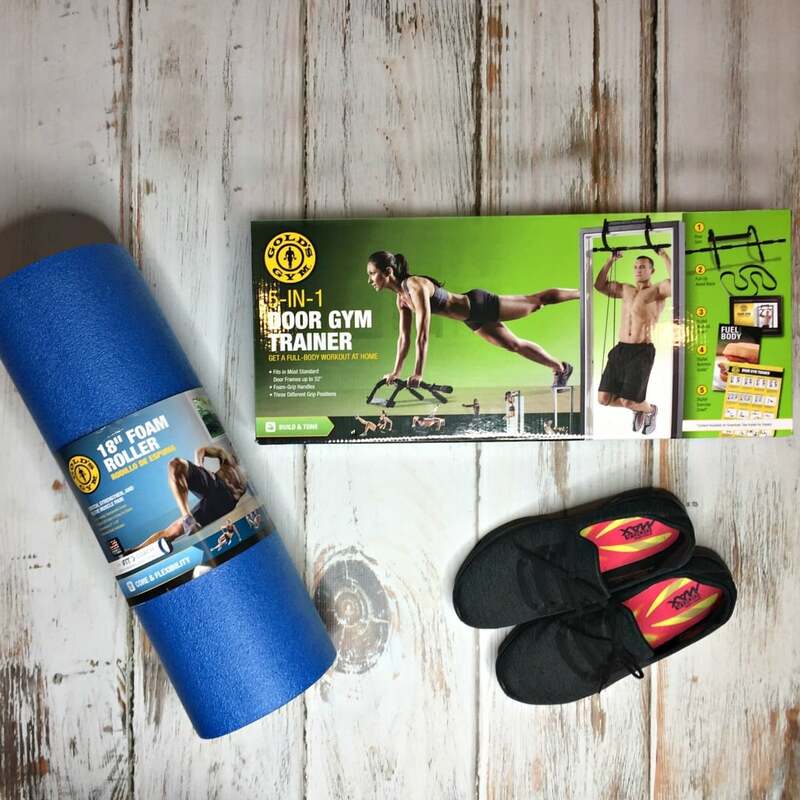 That’s why I love Gold’s Gym fitness equipment from Walmart- I’ve even gone ahead and compiled some inexpensive, easy options that will help you get started today! Gold’s Gym fitness equipment is going to help me stick to my new year resolutions by giving me the equipment I need to work out at home. As I mentioned earlier, I am so busy. I need to be able to work out in the privacy of my own home anytime I have a spare moment. It’s important to remove those barriers to entry so that there are no excuses standing in your way! Made of solid steel construction, the 5-in-1 door gym trainer attaches to most standard doors and no mounting required (love that). The door gym is excellent strength training fitness equipment, allowing you to do a number of body weight exercises right from your own home. Something else I really love about this door gym is that I can take it with me when I travel. No excuses to not work out, right? This foam roller is a must for stretching and strengthening, but especially for relieving sore muscles. You can massage away stress and tension helping you to reduce recovery time. I’ve been using it daily — what a difference it is making (especially true for when you start feeling the soreness from working out). The stay ball or stability ball is great to strengthen and tone your abs and lower back for a stronger core. It’s also good for balance and flexibility. They have tons of other options, from resistance bands to free weights, so this is far from a complete gym. Nonetheless, I’m excited for 2018, for a new year full of healthy choices, and for a new me (and I hope you can say the same of yourself, too)! 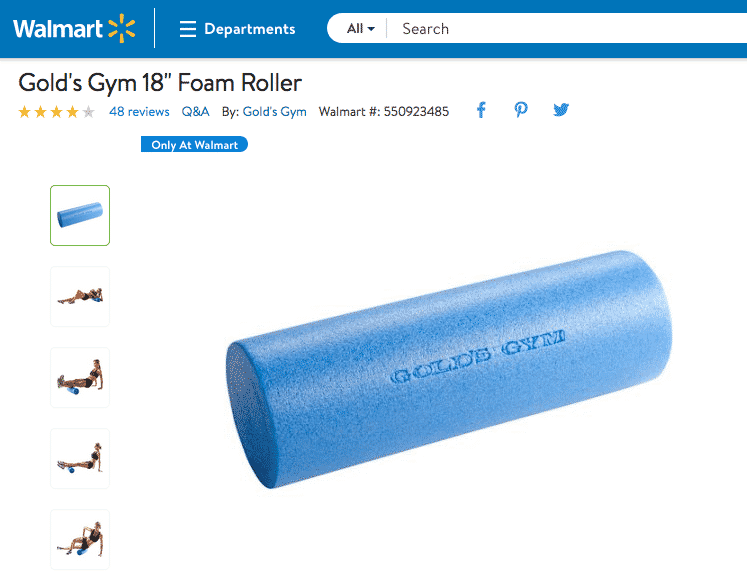 Walmart has all the health and wellness tools and products you need to achieve your new year resolutions. 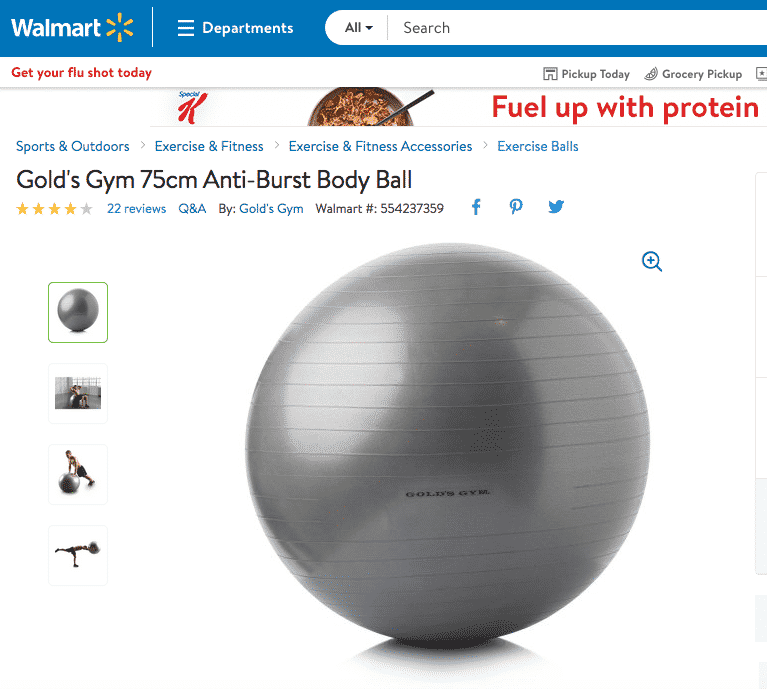 Be sure to check out the Walmart Resolutions page for all your fitness equipment, advice, and more to help you stick to your new year resolutions.